StayCation Day Three- | Arthur in the Garden. 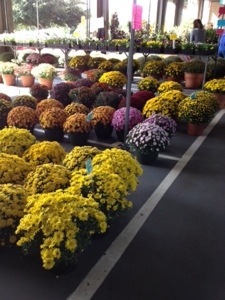 The farmers market is now loaded with pumpkins and mums. I love the white ones! I think they look spooky at night! The mums are beautiful but they are not a favorite plant for me. Maybe I will place a few around the mailbox? I am not sure. 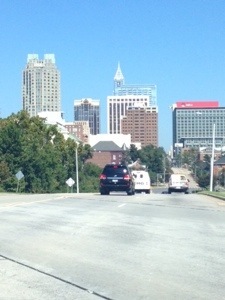 So I head back downtown to my house and neighborhood with nothing, yet. 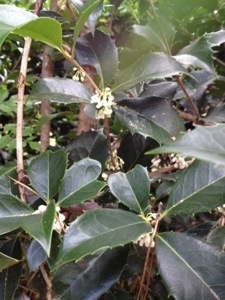 Back in the yard, the Holly-leaved Osmanthus along the parking area are loaded with fragrant blooms. The fragrance is so sweet and such a nice Fall surprise. 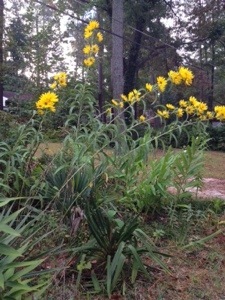 In the curb garden, out by the mailbox, there is a nice clump of prairie sunflower. It’s a towering nine foot perennial which in the Fall puts on quite a show. This group is only a few seasons old but still is a wonderful display ! Also, the Korean mums such as this Mammoth Yellow are beautiful but can be aggressive spreaders here in The South. The cooler nights have encouraged such beautiful blooms. Temperatures near 60f at night and mid 70s during the day have encouraged a burst of growth among many of the Spring plants. I can’t wait to see what will surprise me with a second season of bloom? Your Farmers Market looks great. I never heard of Korean Mums. I will have to check that out. 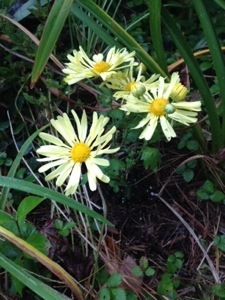 It’s great when spring flowering plants decide to give it another go in the fall. 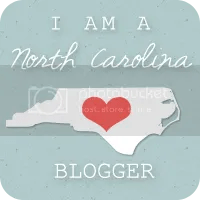 Thanks for this lovely post! 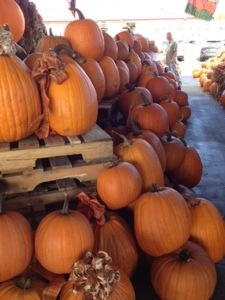 You don’t see those type & larger pumpkins like these over here in Belgium! 🙂 Lovely! They are very popular here!